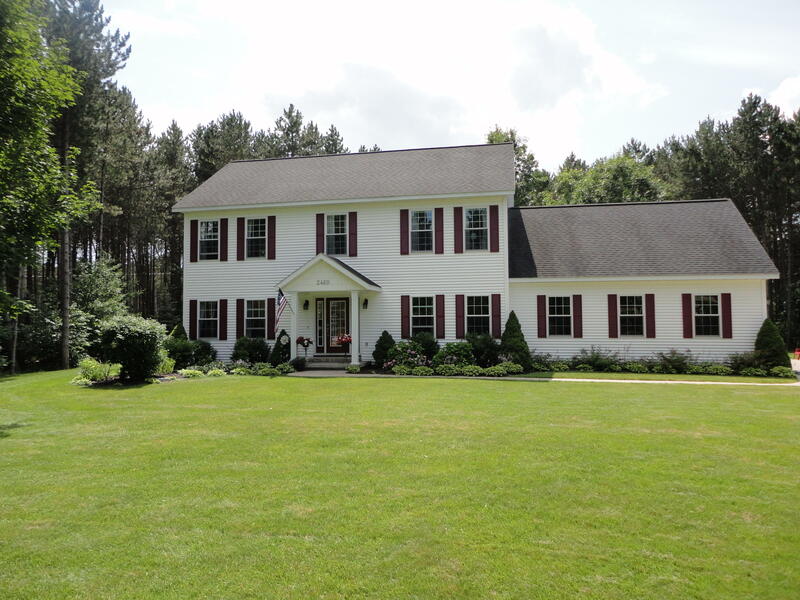 PRIDE OF OWNERSHIP is evident throughout this well-maintainedhome on 2 acres in Crestwood in Gaylord. The main floor includes welcoming living room with gas fireplace; spacious dining room; cheerful kitchen with stainless appliances included and great desk area to stay organized; main floor laundry; 3/4 bath coming in off garage for convenience; and den off front door for quiet relaxation or working at home. Upstairs is a marvelous master suite with walk-in close, whirlpool tub and separate shower; 3 more bedrooms, another full bath and a large bonus room that would make a great play room or studio for the artist! Finished lower level has two egress windows, lots of room for family/game room plus plumbed for yet another bath. Natural gas F/A and Central air, 3 car garage, cement driveway!